Lafawndah - Ancestor Boy. Vinyl LP, CD. Bleep. 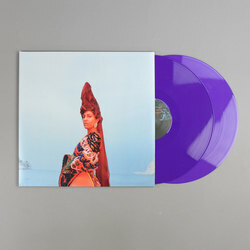 Anyone who has heard Lafawndah’s previous releases - either her 2016 Warp EP Tan or 2018’s collaborative release with Midori Takada - will know that she is one of the most unique newcomers we’ve seen in years. However, the Egyptian-Iranian artist has outdone even our high expectations on her debut full-length Ancestor Boy. 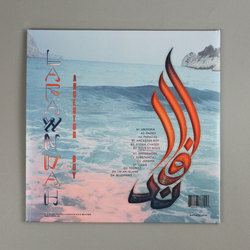 Released via Lafawndah’s own Concordia imprint, this is a record that both reinvigorates and reinvents experimental pop music while also breaking down stylistic, regional and cultural barriers. Lafawndah’s poised, charismatic voice is a commanding presence throughout Ancestor Boy. It also takes on different qualities depending on how it is framed. On futuro R&B jams like ‘Daddy’ and ‘Joseph’ the singer sounds not unlike Kelela, but there are other moments on Ancestor Boy where her vocals steer closer to Fever Ray. Lafawndah is also unafraid to push her voice - the yips, screams, shouts and other vocalisations that pepper the record are reminiscent of Gang Gang Dance’s Lizzi Bougatsos. Indeed, Gang Gang Dance’s border-busting musical style is a good touchstone for this record. At its most intense, Ancestor Boy’s emphasis on tough melodies, rhythms that blend acoustic and synthetic elements and a globalised, non-hierarchical approach to music-making is not a million miles away from the NYC band’s work. Quite a few of the beats here draw from the hybridised club takes of Nguzunguzu, Rizzla and the rest of the Fade To Mind roster - something that makes it less of a surprise when you find out that L-Vis 1990 has a production credit on here. Nick Weiss and Aaron David Ross also lend a hand, but really Ancestor Boy is the result of Lafawndah’s fearlessness and commitment to her vision.